Step into a fairytale at Peckforton Castle where breathtaking architecture, elegant spaces and beautiful grounds come together to make dreams come true. The perfect place for creating memories and hosting unforgettable teambuilding events. 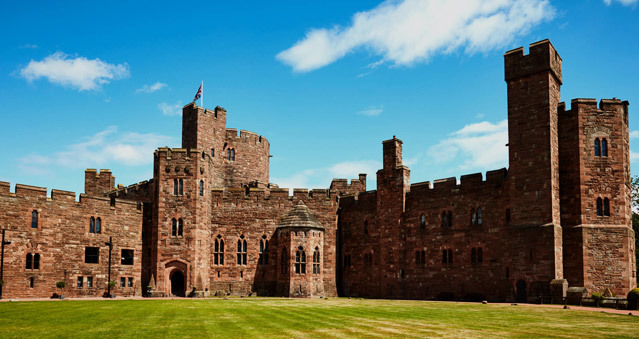 Peckforton Castle is home to 48 stunning bedrooms, all individually designed, blending luxury and contemporary décor. 1851 Restaurant provides a most exquisite culinary experience featuring classical French and modern British cuisine. The restaurant holds 3 AA Rosettes. Ideal setting for Murder Mysteries, Ipad Moving Making, No Ordinary Quiz, Awakening the Dead, Stocks in the City, Mixology and lots more. Location: Easy accessible from the A49, with Chester and Crewe mainline station a 25 minutes’ drive from the castle.